The experiences of Sukhomajri and Bunga have a lesson: given the right conditions, external and internal, villages can be self-sustaining. But their inherent problems are also important lessons. 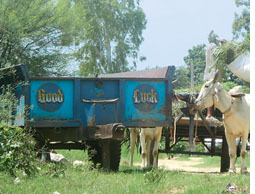 Fixing these is the key to the success of the country's 2,000-odd rural development programmes. The National Rural Employment Guarantee Act, 2005, being implemented in around 300,000 villages in 330 districts with an annual budget of over Rs 13,000 crore, will be a test case. The act focuses on the creation and management of resources like water and forests. It also mandates planning at the village level to achieve this. Sukhomajri and Bunga provide a template that can be adopted with corrections. Both villages show that the cyclical mode of development pioneered by P R Mishra is feasible when villages get rights over resources, their management and the profits that arise out of them. And it is only through common management at the level of the village that the crucial and fine balance between all resources of the village--forests, water, grazing lands, agriculture and domestic animals--can be reached. Sukhomajri protected its forest, which made the constant replenishment of its dams and reservoirs possible. It stopped open grazing and was paid back with fodder and grass from regenerated forests. Similarly, Bunga's village co-operative society imposed a strict water-use regime to prevent over-extraction of groundwater. Both in Sukhomajri and Bunga, villagers organized themselves into co-operative societies because of the assured rights over local water and forest produce like fodder and grass. "Local development is a local concern. So to address the local concern it has to be a local-level development plan," says Mittal. With rights over resources assured, mobilization often happens in the form of local resource management. To begin with, Sukhomajri didn't form its hrms. It experimented for nearly four years to evolve its institutional arrangement. The village assembly played a key role in the evolution and calibration of common mechanisms. "Resources under community control always lead to innovation. That in turn results in effective management," says Madhu Sarin, the well-known forest rights activist. In the face of the falling demand for bhabbar, for instance, Bunga found a market because it had control over its resource and the accruals from it. Sukhomajri did not stand to benefit, so it just stopped taking the lease for the grass. The two villages demonstrate by way of contrast the big difference that conferring management as opposed to legal rights can make. Sukhomajri's hrms had to depend on the forest department because the latter had legal ownership over forests and their resources. Despite the fact that the forests existed because of the efforts of the village, it had no inalienable right. In contrast, Bunga started out with legal rights to much of its catchment area. When the government tried to impinge on them, the village mounted a successful legal challenge to maintain control over its resources. Clearly, to enforce rights over resources, the government must provide local institutions with legal cover against external influences. But local, common management should not mean local insulation. For strong and democratic village-level institutions to evolve it is not enough to have internal solidarity in the village--the interface between the government and other outside agents and the village is crucial. Thus, in Sukhomajri, when the forest department became predatory, the equilibrium of the carefully built structure collapsed. In Bunga there are already instances of violation of rights that could threaten the solidarity of its co-operative society. Also, however strong village institutions may be, technological and financial assistance is crucial to the survival of development projects once they transcend a certain scale. Both Sukhomajri and Bunga face crises of financial wherewithal and technical knowhow, in varying degrees. These can be overcome only through facilitation not micro-management, as the government is wont to do. The problem, moreover, is not merely technical and financial. If the government is to make common property and its management through participatory democracy structures the way to development, it must strengthen the basis for common property management where, in contrast to Sukhomajri and Bunga, villages are rent by deep social divisions. That challenge of equitable, community-based growth cannot be met without strengthening local democracy through the gram sabha--village assembly--and making over to local institutions real powers of management. The government must also learn from the holistic perspective Sukhomajri and Bunga present. Assessments of rural development schemes show most have failed due to lack of integrated planning. 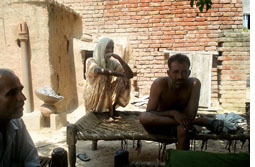 On average, every village in India has a dozen programmes, each unilinear. This fragmented app-roach has meant that desired outcomes have not materialized. The divergent futures of Sukhomajri and Bunga could well mirror the future of rural India.